The Tilting Grinder, the pride of our stables, has been crafted with precision and quality, with non-corrosive components, and it has also been designed taking ergonomic aspects into consideration. Low on noise and vibration, it has especially been built to handle the high volumes of output generated in less time as required of a commercial establishment like that of yours. An additional feature in the form of the coconut scrapper is also present so as to make work easier. 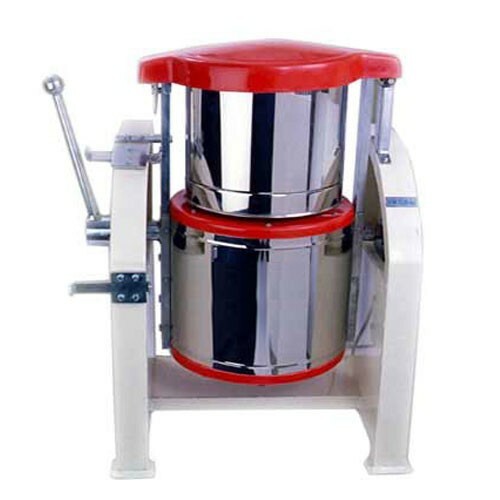 Commercial wet grinder models used for idli, vada, dosa, south Indian food in Indian restaurant and running 24 hours capacity. The Sowbaghya turns to be the queen of your kitchen and its smart look simply blends with your interiors. Its capacity of 5 litres is just perfect to meet all the needs of a compact family. It is equipped with powerful ½ HP motor and patented cylindrical stones for professional grinding and prepares your favourite idly batter and dosa batter to perfect consistency.